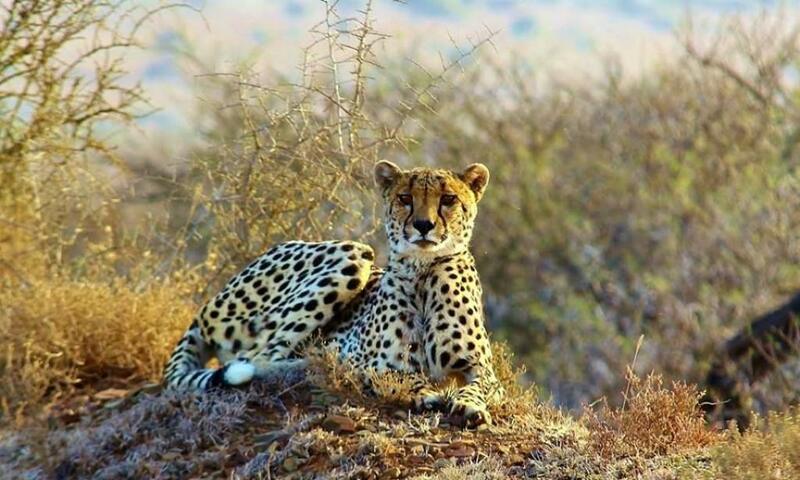 This two week safari combines the best of a classic South African family safari with a stopover in Cape Town and some exploration along the Cape coast. One of the wonderful things about going to South Africa for October half term is the temperature; it’s spring so perfect if you want sunshine and not too hot – typically 27 C in the Kruger region and 21 C in the Cape. You have the added bonus that Southern right whales can be viewed from the Cape coastline at this time of year. 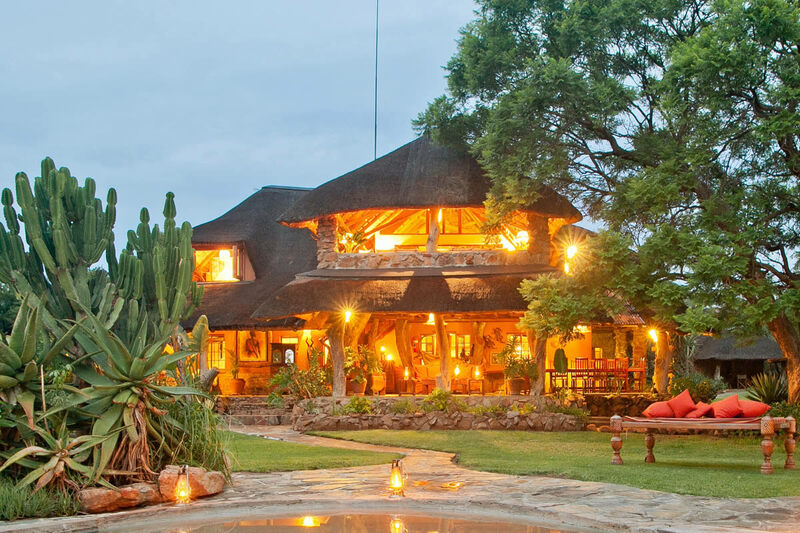 Ant’s Nest in the malaria-free Waterberg region combines a private bush home with excellent family safaris. Owner run by Ant and Tess Baber, this ranch house is homely and laid-back with six en-suite bedrooms. 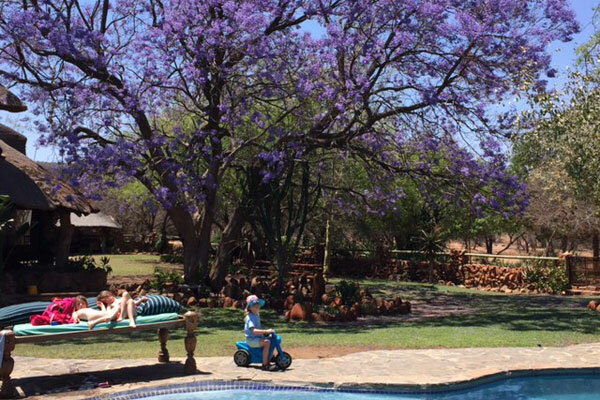 We stayed in the Sable Suite and my children enjoyed the gardens, the heated swimming pool, sandpit, trampoline, badminton and thatched chill out area with big sofas. 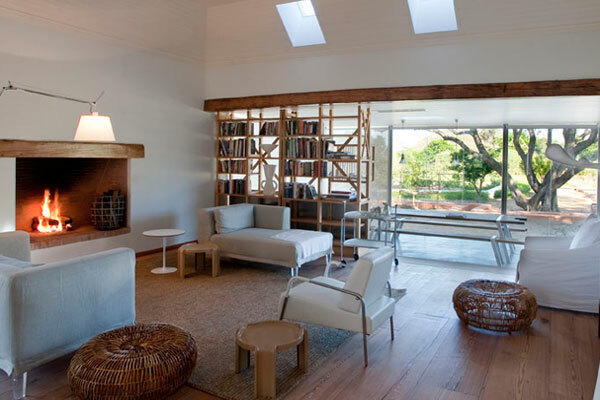 The lodge is small and personal, with activities tailored to individual tastes. 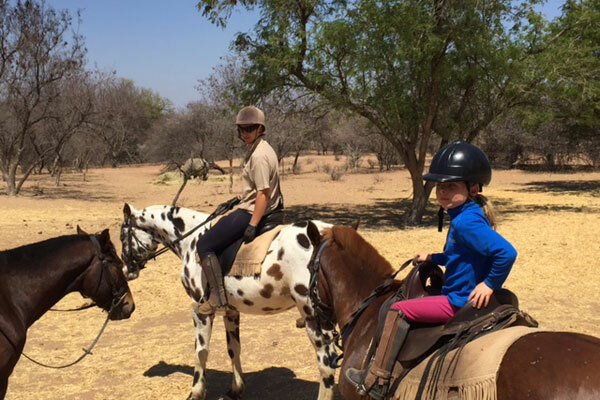 This meant we were able to do a family riding safari that even my husband enjoyed as the horses were so well schooled and calm. Ants have horses to suit everyone, even under fours can be led on ponies around the grounds. We also enjoyed the game drives and guided walks on which you can see rhino, Cape buffalo and leopard. 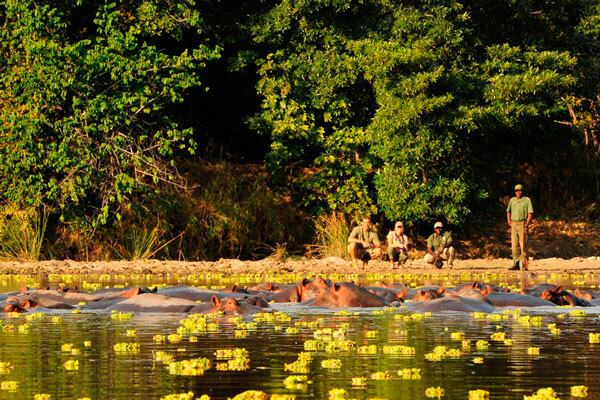 For the other Big 5 (lion and elephant) game drives to other reserves can be arranged. 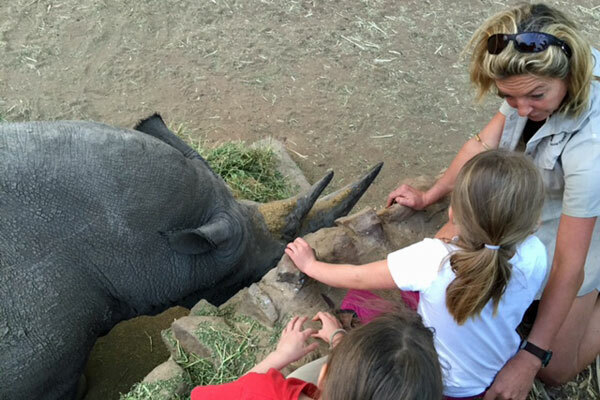 Meeting rhinos up close was incredible and the guides’ knowledge and enthusiasm really added to the experience. The girls’ highlight of our stay was the conservation success story – ‘Mokolo’ a rhino calf born on the reserve just four days earlier. While on a walking safari we were privileged to see the calf suckling the mother, an experience they mentioned throughout their holiday. For me the highlights were the guides, the riding and the rhino conservation work, not to mention the food and the accommodation. Really couldn’t fault it, it’s perfect. The One&Only Cape Town has a magnificent setting in Cape Town’s iconic Victoria and Alfred waterfront. 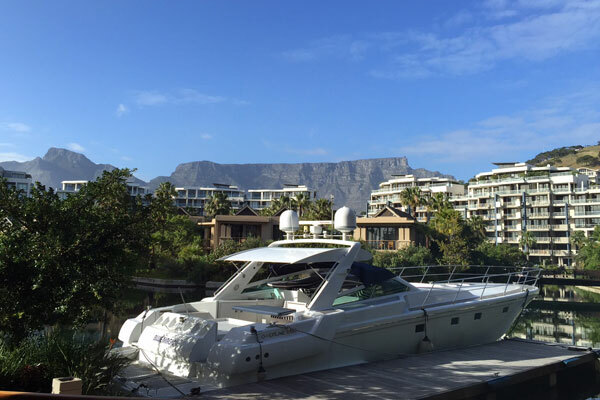 We had a fourth floor suite overlooking the marina and yachts with Table Mountain in the distance. 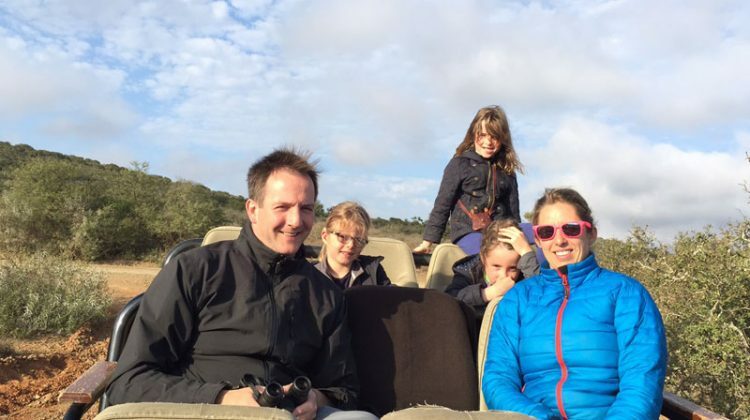 We only stayed for one night but there is plenty to do here including climbing, or taking the cable car, up Table Mountain, visiting the Kirstenbosch gardens, shopping and sampling some great restaurants. My family had hours of fun in the Two Oceans Aquarium which was within walking distance of the hotel. 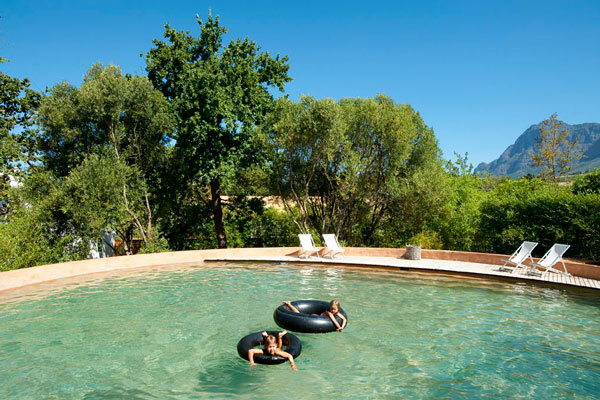 Babylonstoren Lodge and Spa lies in the Drakenstein Valley in the scenic Western Cape winelands between Franschhoek and Paarl. 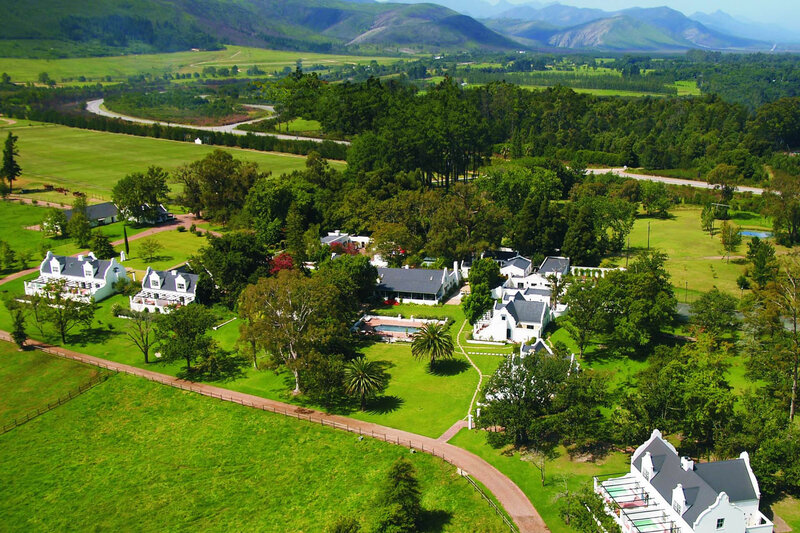 Dating back to 1690 it is one of the oldest Cape Dutch farms in the region. We stayed in one of the pretty two bedroom cottages which was stylishly decorated and came with its own fully equipped kitchen. 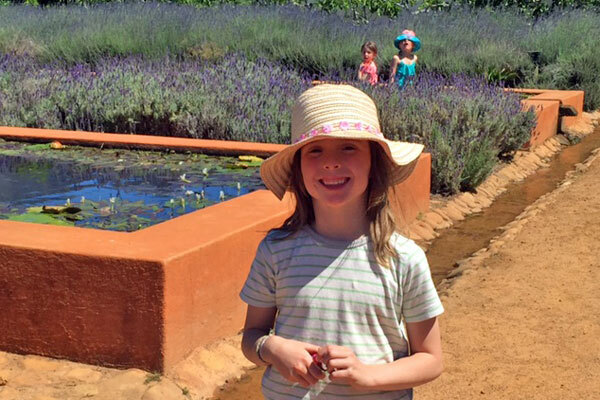 We has a lovely time exploring the beautiful organic gardens, complete with lavender fields in full bloom, and enjoyed the swimming pool, rowing boats on the dam and walking with the ducks. Guests are welcome at the wine cellar where you both sample and view the wine making process. The natural organic ‘farm-to-fork’ food here was delicious, and supper at the Babel restaurant was the best food of the trip. 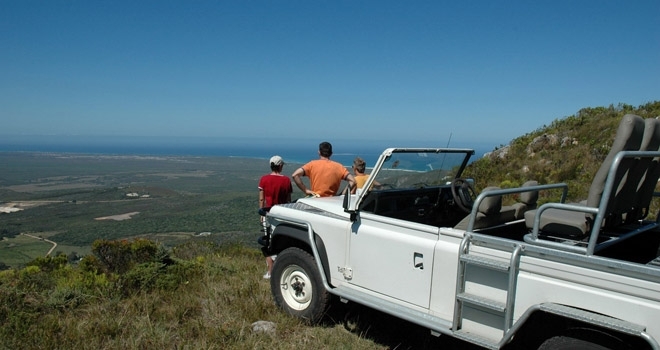 Overlooking Walker Bay, Grootbos has wonderful views of the dunes, sea and distant Cape of Good Hope. 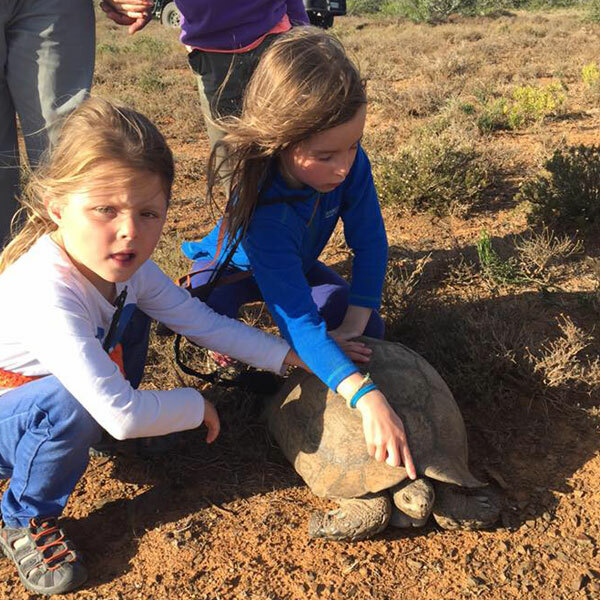 The reserve has smaller animals like bush buck, porcupine, grey duiker and lynx as well as great examples of the fynbos vegetation endemic to the Cape. 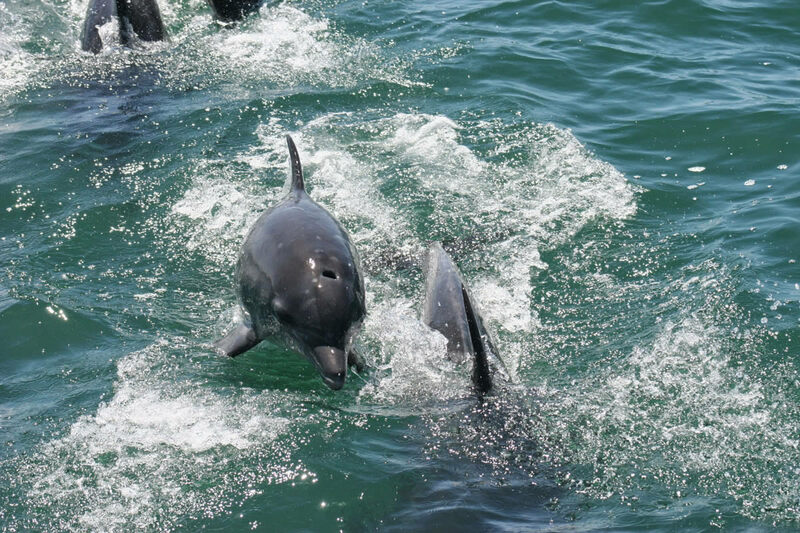 The marine trip from Grootbos was really special with so much wildlife to see, including great white sharks, Southern right whales, African penguins, cape gannets, cape cormorants, bottlenose dolphins, and cape fur seal. Awesome! A four hour drive along the Garden Route offered stunning views to our next stop Kurland. 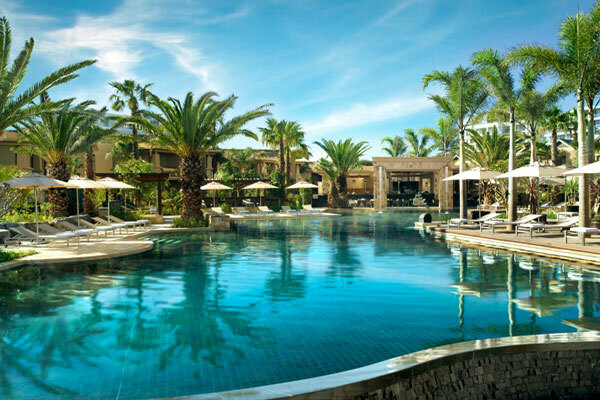 The hotel is set where the Outeniqua Mountains sweep down to the sea, close to Plettenberg Bay. 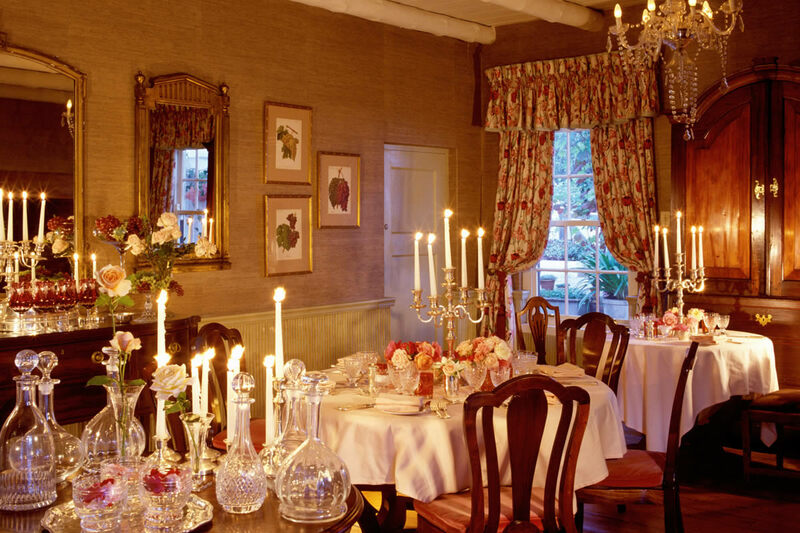 The country house style, small luxury hotel is warm and welcoming. We stayed in a superior suite with loft rooms especially designed for children. We had a fun family bike ride, the children enjoyed the indoor and outdoor playground, jungle gym, and children’s pool. 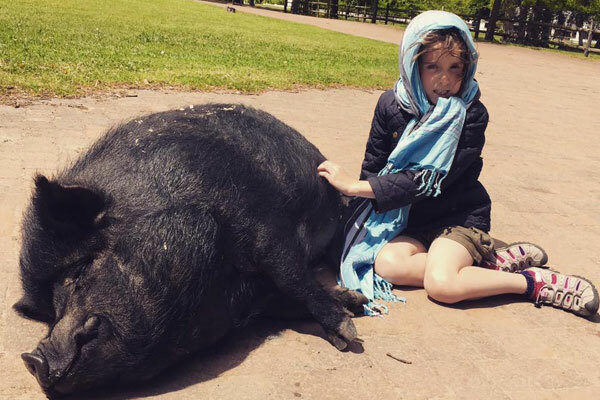 The enormous pig was a great hit too. 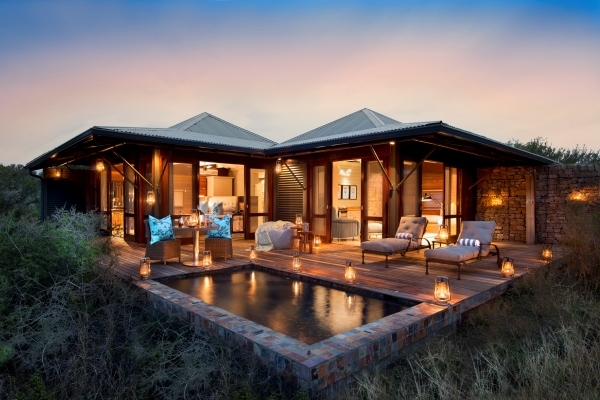 Kwandwe Reserve is 54,000 acres set in the heart of South Africa’s malaria-free Eastern Cape. We stayed at Kwandwe Ecca Lodge which has just six suites, three of which are family suites that can accommodate children on daybeds in the sitting room. 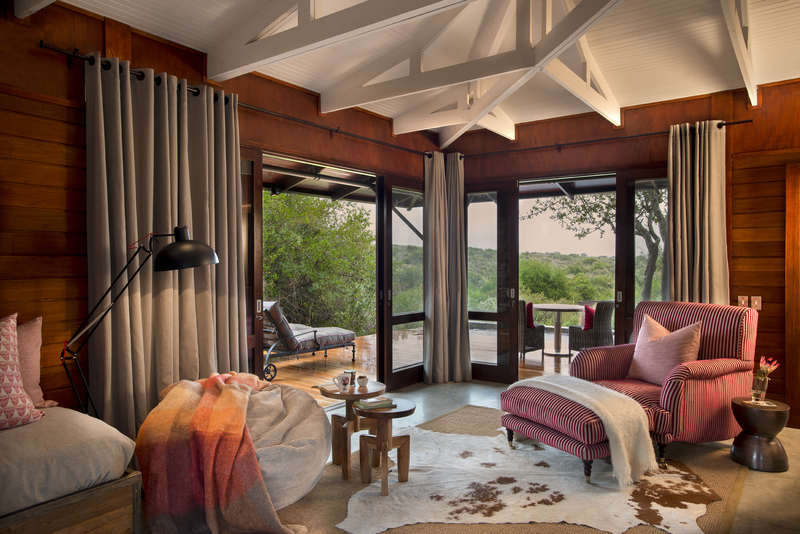 From the suite we could watch majestic kudu meander down to the river while the verandah had a private plunge pool which was a perfect spot from which to admire the lovely views. The game drives were superb and we spotted lion, black and white rhino, buffalo, elephant and cheetah as well as plenty of plains game. Kwandwe provides an exciting and stimulating environment for families through its Eco-nect activities. 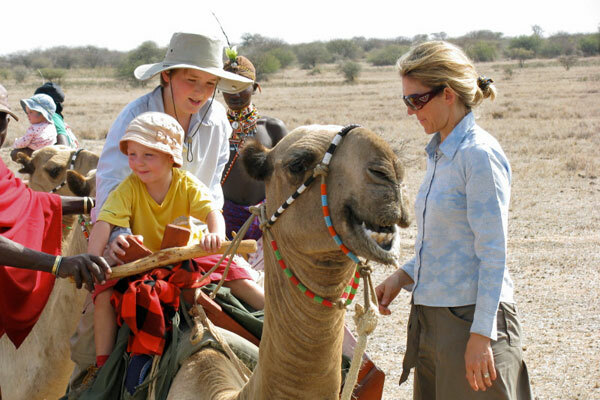 Aimed at involving both parents and children, families have the opportunity to spend quality time together out on the reserve, enjoying fun and adventurous activities including kite building, scavenger hunts and treasure hunts (during a game drive, which will require some basic navigation using a sun-compass and major landscape features in order to find the treasure.) For younger children there is a ‘bugs & bones’ walk (a great way to stretch little legs and learn all about the reserve whilst searching for insects, bones and skulls and being taught how to identify animal tracks and droppings), and a minnow’s fishing trip with a ranger. 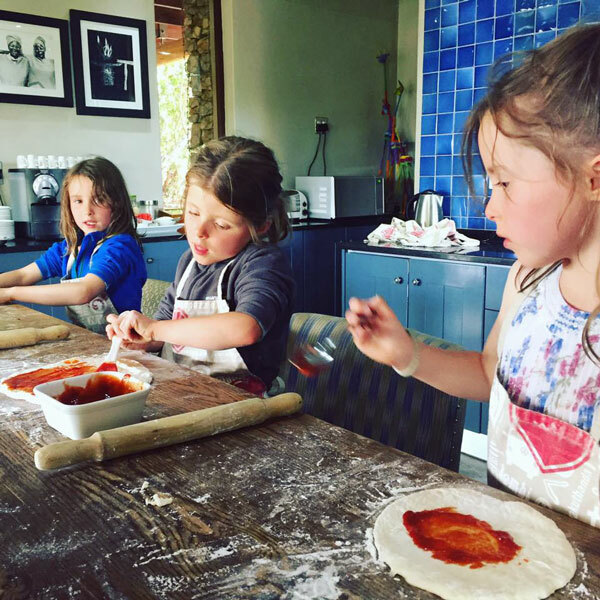 There are fun indoor activities too and the girls particularly enjoyed making moulds from Plaster of Paris, beading, and pizza making with specially designed ‘chefs in training’ aprons. I think they enjoyed every part of the holiday, this was the first time they had stayed in five star hotels so found all the places pretty incredible. I think getting their mini guide explorers certificates from Kwandwe was a high, as was the riding at Ants Nest which was tremendous fun. Difficult to have an overall highlight, it was without doubt their best holiday to date. Ants or Kwandwe were his favourites. Partly because he just loves safari, especially birding, and could sit for ages simply watching the animals going about their daily lives, but also the flexibility at both these places which allowed us to do exactly what we wanted. They both were brilliant with the children, keeping them interested in everything, so everyone was entertained and that makes for a very happy holiday. The riding and the baby rhino suckling from its mum on a walking safari. Also it was an active holiday which I love, we walked, kayaked, rode and swam a lot. It felt great to get active especially while the food (supper at Babel was outstanding) and wine was so good. 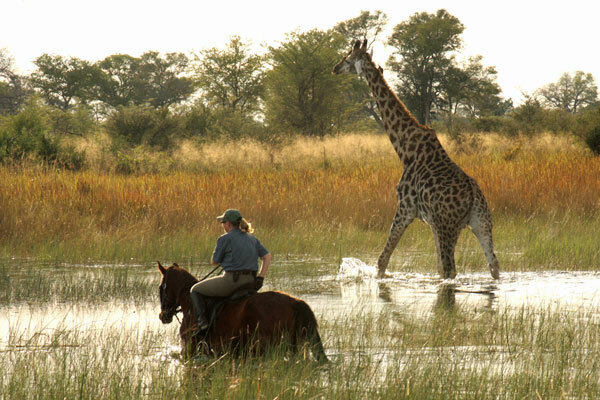 Any of the lodges and camps in South Africa will ensure you see great wildlife and enjoy good guiding and hosting. The differences are in the style of accommodation and their suitability for families, whether you would prefer to mix with other families on holiday, or private properties that you can have exclusively for your family. 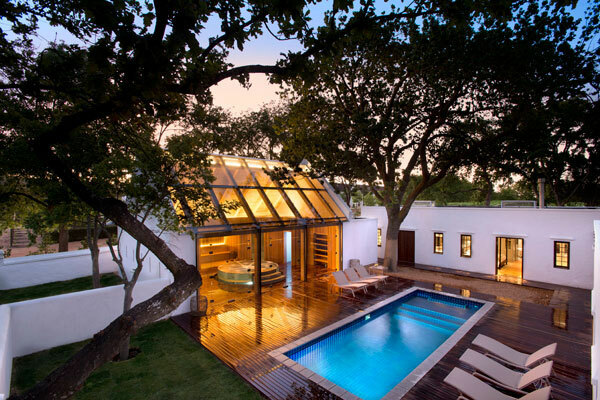 Call or email our team of experts and let them suggest the best properties for a South Africa family safari holiday.